At Peachers Mill Dental we are committed to providing families with comprehensive and affordable dental care in Fort Campbell, KY. We have compiled a team of dental professionals at our dental office who are dedicated to excellence in dentistry. We believe in a proactive approach to oral health. With education, regular dental check-ups, and preventative care we want to help each family member develop oral habits that will preserve their healthy smile for a lifetime! We provide comprehensive dental services to patients of all ages. Some of our patient preferred services include: teeth whitening service, dental cleaning, dental sealants, athletic mouthguards, and crowns. So if you are looking for a dentist for yourself, a child, or a parent look no further. Here you will find a family dentist ready to provide comprehensive general dentistry to the whole family. 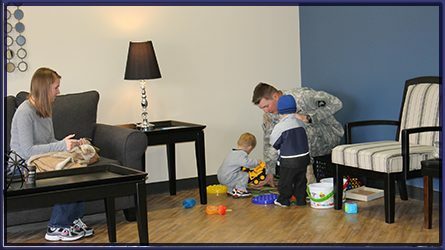 We want to be your local Fort Campbell dentist. Call Peachers Mill Dental and let us help you create the smile of your dreams.